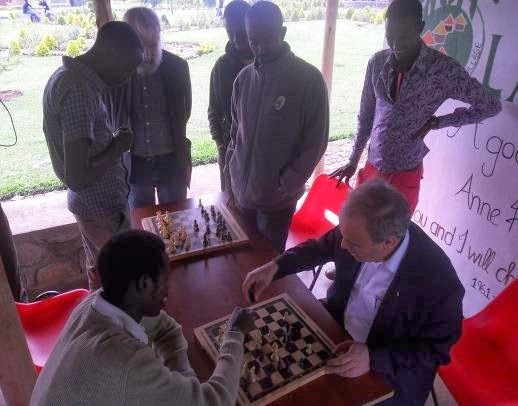 Over the last week, Rwanda Chess Federation was honored by the visit of the Vice-President of FIDE and Chairman of the FIDE-CiS programme, Mr. Ali Nihat Yazici, and the President of the African Chess Confederation, Mr. Lakhdar Mazouz. 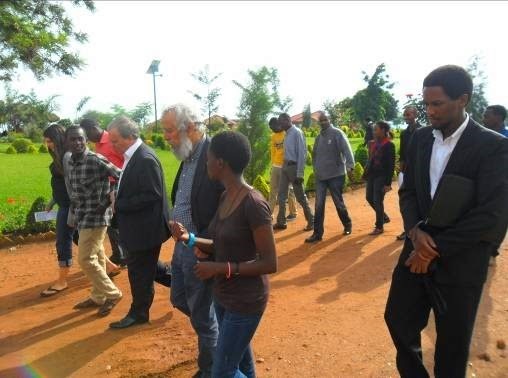 They arrived in Kigali on 12th March 2014 around 1:20am. On schedule, they were to meet with different Rwanda government Officials to discuss on the development of Chess in Rwanda in general and the introduction of the Chess in School programme. 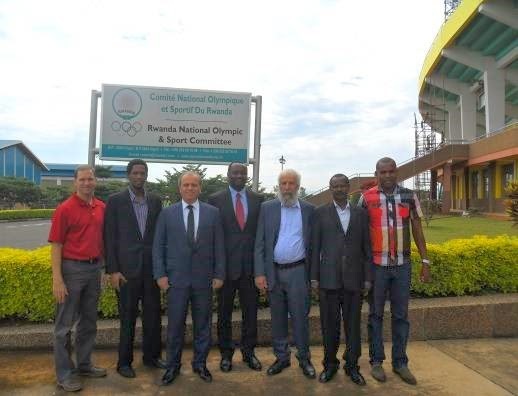 Mr. Yazici and Mr. Mazouz met with the President of the Rwanda National Olympic and Sports Committee, Mr. Robert Bayigamba. Their discussions focused on the development of the chess game in Rwanda, on the success story of the Turkish Chess Federation and how Rwanda could succeed as well. The meeting took place on the Amahoro National Stadium at the RNOSC offices from 2:00pm to 2:40pm. 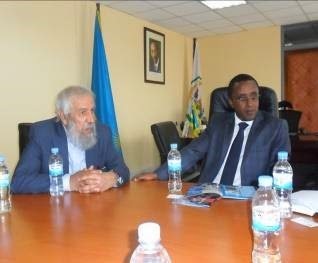 After the visit at the Rwanda National Olympic and Sports Committee (RNOSC), Mr. Yazici and Mr. Mazouz visited the Ministry of Education. They met with the Honorable Minister of Education, Dr. Vincent Biruta. Their discussions focused on the Chess in School programme and its impact on performance of learners at school but also one of the ways to boost the development of chess in Rwanda. The Minister said, it is good programme and schools should be sensitized to create chess clubs. This sounded great although the Chess in School programme is not implemented through chess clubs but is part of the education curriculum. On this, the Minister said that due to the Rwandan education curriculum is too rigid, and the programme could not just be included, but this could still be a subject for discussion, view the impact of Chess in education. 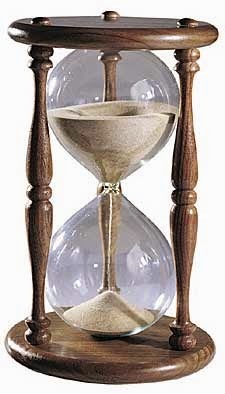 Their meeting ended around 3:50pm. 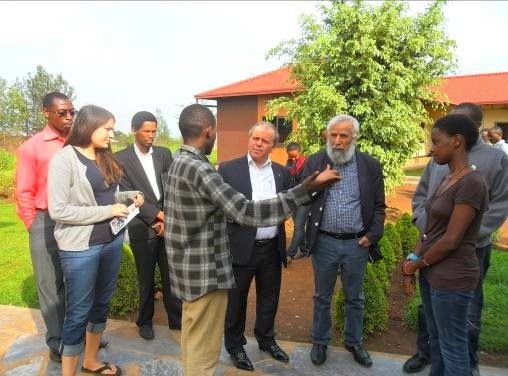 After the visit at the Ministry of Education, Mr. Yazici and Mr. Mazouz visited the Genocide Memorial Site at Gisozi; a time to witness what Rwanda went through in 1994. Mr. Yazici and Mr. Mazouz later on in the evening met the Executive Committee of the Rwandan Chess Federation; a nice time of sharing and having a common understanding on future activities and collaboration towards the development of chess in Rwanda. The Executive committee was composed of Mr Kevin Ganza (vice-President), Mr Johnson Rutayisire (Technical Director), Alain Patience Niyibizi (Secretary General) and Murara Maxence (advisor to the Executive Committee). 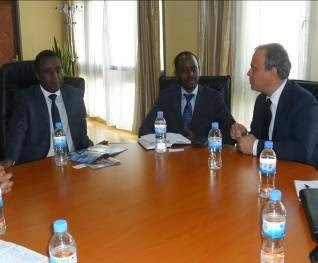 On the second day of their visit, Mr. Yazici and Mr. Mazouz visited the Ministry of Sports and Culture where they met the Permanent Secretary, Mr. Edouard Kalisa. Their discussions were focused on the development of Chess, opportunity of creating a chess center and introducing the chess in school programme. Mr. Yazici thanked the PS for the support they gave to the Federation for participating in the Olympiad 2012. Mr. Kalisa said that with limited budget they have, they manage to share it among all the federations so that they are able to improve in their respective sports. In the afternoon, Mr. Yazici and Mr. Mazouz visited one school in the Eastern Province, the Agahozo Shalom Youth Village. A village created by Mrs. Anne Heyman for vulnerable young boys and girls. They played chess with boys and girls of the village and discussed on the benefits of chess in education and in the real life. On the rightside of Mr. Mazouz is the Director of informal Education, Ndikubwabo Jean Marie Vianney, of Agahozo Shalom Youth Village. Mr. Yazici and Mr. Mazouz left Kigali on 14th March around 9:00am to continue their visit in Kampala.